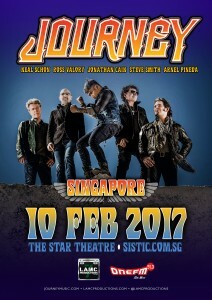 LAMC Productions is proud to welcome back American Rock icons, JOURNEY to Singapore on Friday, 10 February 2017 at TheStar Theatre, The Star Performing Arts Centre! 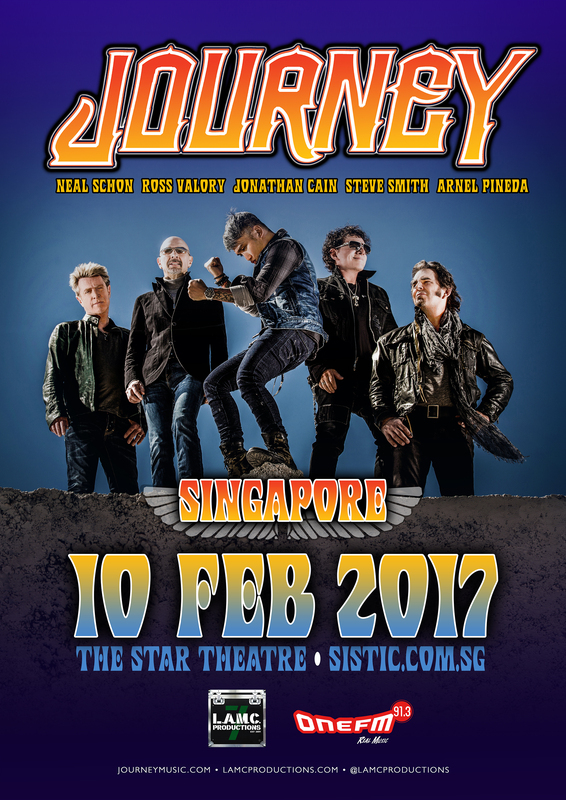 Following their successful ‘SAN FRANCISCO FEST 2016’ Tour, JOURNEY are beyond excited to play for their Singapore fans in 2017 once again. In 2015, Journey performed a sold-out Hollywood Bowl concert for the opening night of the Bowl’s 2015 Season, accompanied by the 120-piece Hollywood Bowl Orchestra. The band was also recently nominated for induction in the Rock and Roll Hall of Fame’s class of 2017. Journey’s current lineup includes Arnel Pineda on lead vocals, Neal Schon on guitars & backing vocals, Ross Valory on bass & backing vocals, Jonathan Cain on keyboards & backing vocals and Steve Smith on drums.